Scotty Buys Houses Need To Sell Your House Fast? We Buy Houses! Should I Sell my Rental Property or Keep it? Many beginner or speculator-type real estate investors think that the crux of real estate investing is finding a distressed property, fixing it up, and selling for top profit. Keeping it as a rental ends up being a mistake, a backup plan, or a last resort for many people. But is keeping a property as a rental always a bad thing? Is it in a Good Area? There will be parts of your town that are known to be more desirable, are within a working class budget, and are close to important amenities like schools, grocery stores, and developed shopping centers. Although there is the ongoing appeal and debate of buying cheap properties in war zones, the higher profit percentages may not be worth the management and maintenance headache for you. If you have no experience landlording, you typically want to avoid these areas all together. If you’ve bought it at enough of a profit margin (or created forced equity through a rehab, additional square footage, etc), you may decide that the home could cash flow after you pay a monthly mortgage payment, taxes, insurance, and HOA (if there is one). Check the rental rates in the area, how long it looks like it takes to rent a home of your mix (meaning, bedrooms and bathrooms). If you have the available credit, or a partner does, it looks like it would cash flow, it has equity, and it’s in a good area, you may have a winner. Is it a Cash Cow? If you’ve become an accidental landlord, cash flow may have never crossed your mind. But if your property has been sitting there and it looks like refinance may be the only option, the first thing to see is how much, potentially; you could rent it out every month at. If it’s a marginal deal, (i.e., less than $100 cash flow for every bedroom in the property), it may not make sense to you, and it would be time to move on to plan C. If you’re OK with breaking even, it could be a potential hold, but dealing with tenants every month just to cover a bill could quickly become a drain. Many speculators have found themselves in this position when the market tanked, with most letting the properties go to foreclosure or short sale. Prevention is the best medicine nowadays; buy at steeper margins. If you’ve been specifically targeting single family rental homes to buy as a keeper, it will be important to review what the current leases are for, how long they are for, and if they reflect market rent. If not, why? Did the old owner keep them down just to keep the place occupied? Did he refuse to do needed updating and keep tenants at reduced rates? Either of these gives you the opportunity to do the updating needed and “clean house,” literally and figuratively. Just pencil out how long it would take you to get your cash investment back (through raised rents), and if it fits your criteria. Every once in awhile you’ll find a deal that looked underwhelming at quick glance, but upon closer inspection could be reconfigured to be a gold mine. If it’s in a good area, and can be a cash cow, it might just be a keeper. Would it be a Good Lease Option? Perhaps it’s not a cash cow, but it’s a desirable property in a decent neighborhood. With the population of displaced homeowners that went through a foreclosure, you’ve widened the pool of people who want to own but don’t have the credit…just yet. A lease option is when an occupant has a lease/rental in place, but also has an “Option” to purchase the house at a future date at a set price. You can collect a larger upfront payment for the option, whether it ends up being exercised by the tenant or not. They also tend the treat the house as their own, and are more hands off renters. If you haven’t done or aren’t familiar with Lease Option (or this style of re-sale), don’t approach them ignorantly. Do your due diligence and have an attorney review your paperwork, as setting up the deal incorrectly can open a can of worms you could have easily avoided. As the market shifts, you may notice your rehabs taking longer to sell, leaving you considering plan B. If keeping it as a rental is a possibility, these three examples can help you narrow down if the property will be an adaptable investment into your portfolio. We Buy New Jersey Houses For Cash. Get Your Fair Cash Offer Today. Give us a try! At Scotty Buys Houses we believe in a 100% no-hassle and no-obligation process. Selling your New Jersey house shouldn’t be tough or stressful. Fill out the short form through the link below or give us a call anytime at (973) 910-1001. We’ll get some basic information about your house and within 24 hours will send you a formal written offer. If the offer works for you, we’ll work with a local neutral 3rd party title company to put the sale paperwork together and set a closing date that fits your schedule. Get the process started below or call (973) 910-1001! 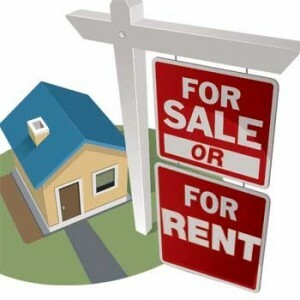 Sell My House Without an Agent in New Jersey Why Sell to an Investor?